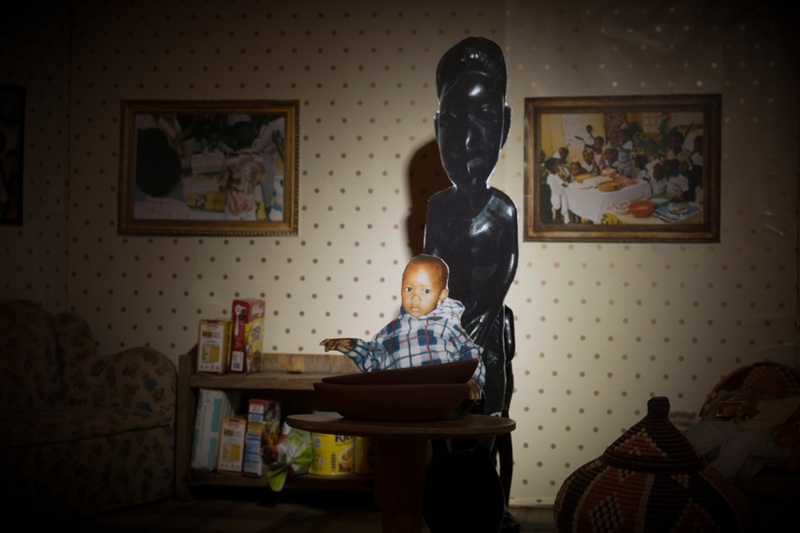 â€˜Monna o montsho’ is a Setswana phrase that translates to ‘black man’ however, it is also the name of a wood sculpture my grandmother used when I was a child to frighten and stop me from breaking her fine china and tea sets. Photos and words by THERO MAKEPE. 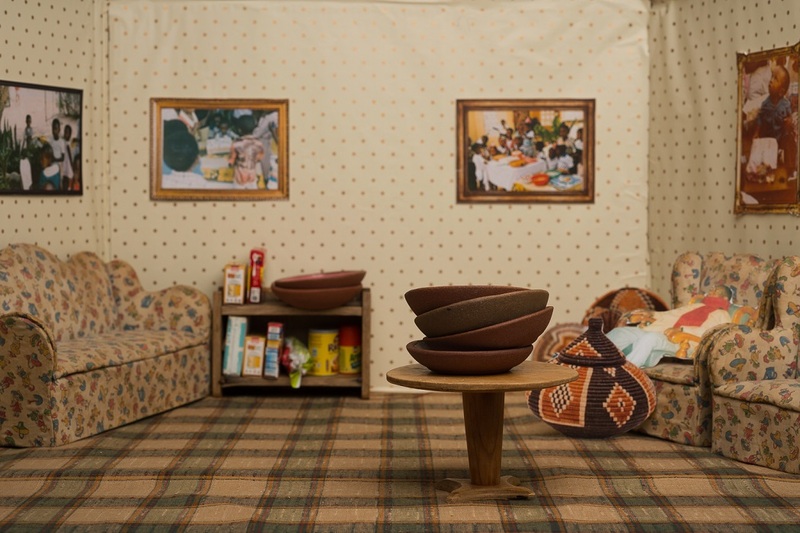 I spent the first five to seven years living in my grandparents or frequently visiting and I had the mischievous tendency of breaking my grandmother’s fine china sets when she was not in the living room and my grandfather was blind so he could not stop me either. Eventually, my grandmother put a small statue she dubbed “Monna O Montsho” in front of her china set and when I would see this sculpture it would scare me and I would cry and run away. After I grew old enough to stop breaking her china my grandmother put the statue away until I turned 21 years old last December. 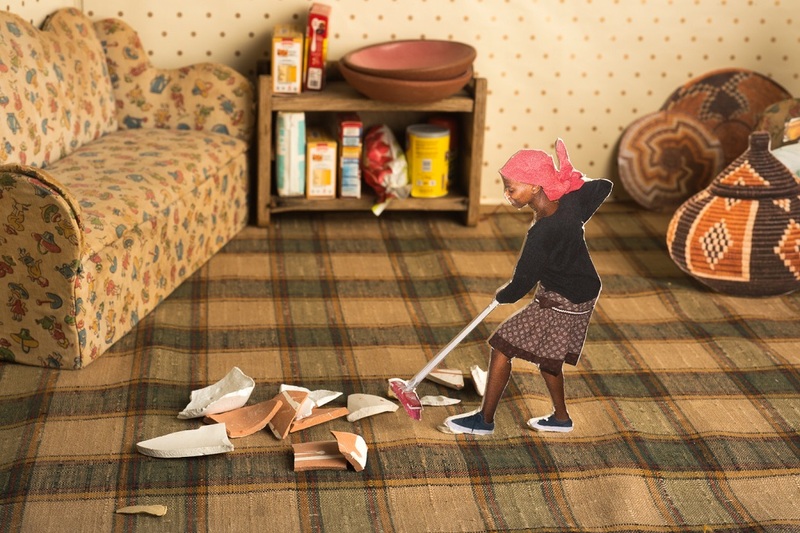 In my photographic series of the same name, I tell the narrative of my relationship with Monna o montsho by working miniature and using toy furniture and cardboard cutouts to create a sense of childhood and nostalgia. 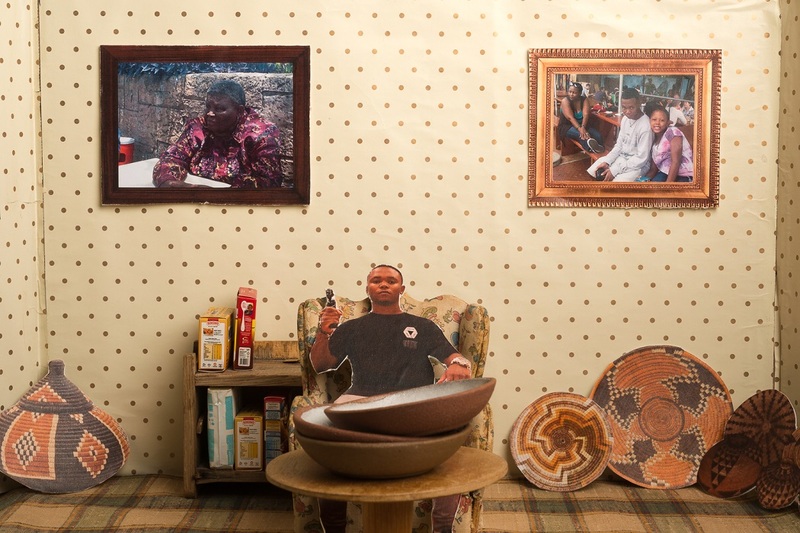 Thero Makepe is an artist and photographer born and raised in Gaborone, Botswana currently living in Cape Town. 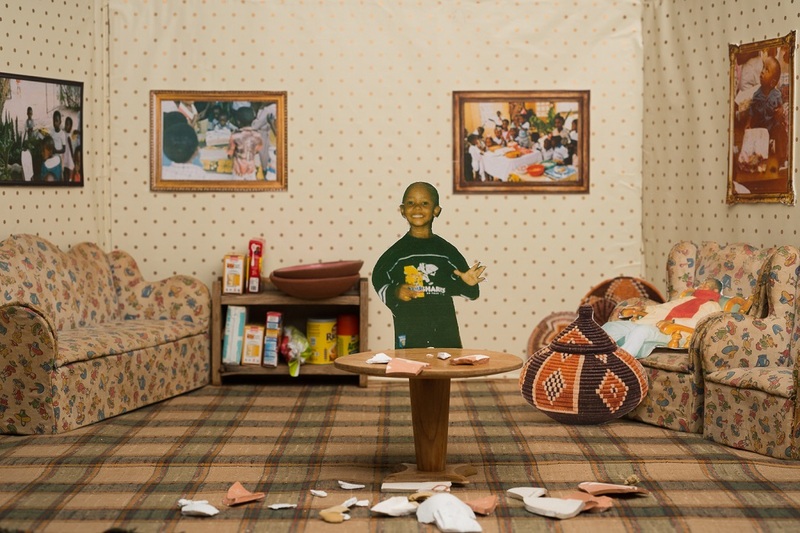 He uses sculpture, photography and sound art as a means of exploring themes of childhood, memory and his multidimensional experience as a black male. More of his work can be found on his Instagram, and Twitter.